Russian Security Council Secretary Nikolai Patrushev at the meeting in Sochi on Aug. 22. Kremlin spokesman Dmitry Peskov said Putin’s Aug. 22 meeting with Patrushev and the rest of his Security Council took place in Russia’s Black Sea resort city of Sochi. 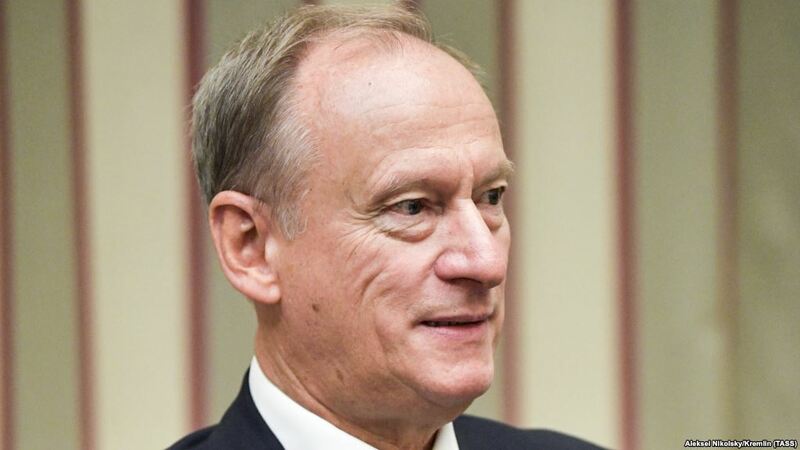 Patrushev’s planned meeting with Bolton on Aug. 23 is the first official follow-up to a July summit in Helsinki between Putin and U.S. President Donald Trump. Bolton on Aug. 22 said during a visit to Israel that Russian military forces were “stuck” in Syria at the moment.